I‘m still in my gathering ideas, planning and psyching myself up phase of tackling my closet makeover. That’s the phase I get in right before I actually dive in to get the job done. Which mostly means … I’m on Pinterest. 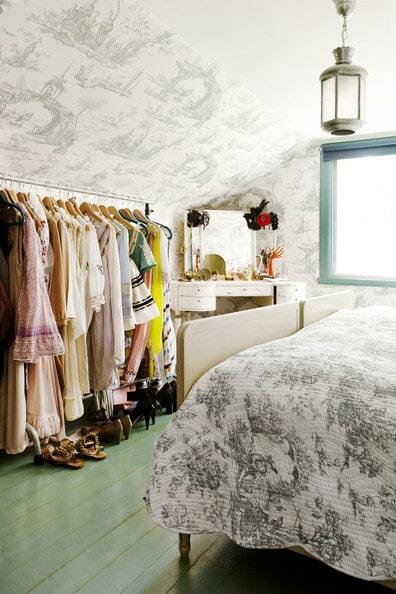 I’m now totally convinced my closet needs to be way more charming. WAY more charming than it is. 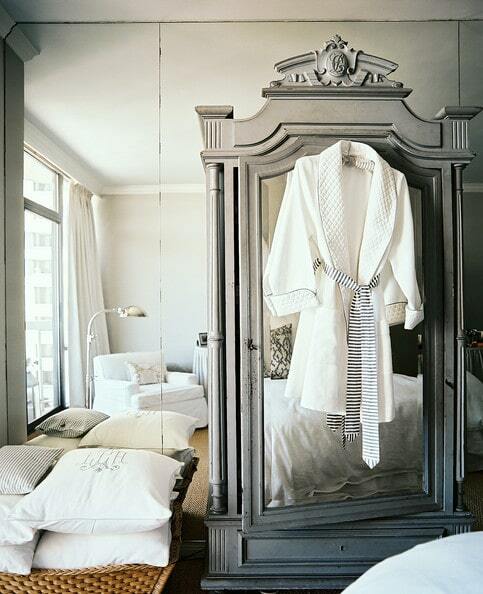 When I picture redoing my closet, things pop into my head like beautiful French armoires in a walk in closet that is actually a small room with romantic wallpaper, pretty light fixtures, furniture and clothes on racks like a boutique. That’s what is in my mind. But what’s currently in my closet are rubbery wire shelves, puke brown carpet and icky dry flesh-colored a.k.a swine colored walls. Yeow. That’s not the least bit inspiring to wake up to. I’ve had that boutique closet dream for a long time. I actually got started on one before we moved here, but then we had to move before it all came together. So, it’s been lingering in my mind for quite a few years. 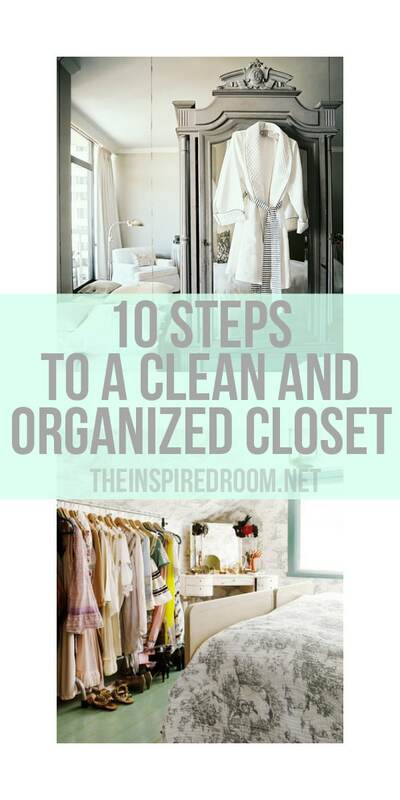 But to be more practical while I’m mulling the dreams over, I put together a doable 10 step action plan for a clean and organized closet, which doesn’t necessitate ordering chandeliers or fancy wallpaper first. The action steps are all written up and ready to go, so come on over to The Decluttered Home and get inspired with me for a great weekend project! 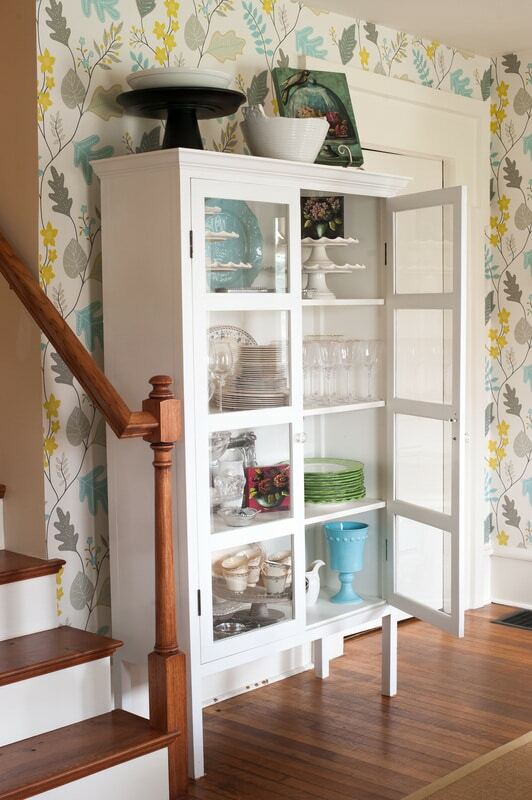 Check it out: 10 step action plan for a clean and organized closet! I want this room in my house. Sigh, I die. 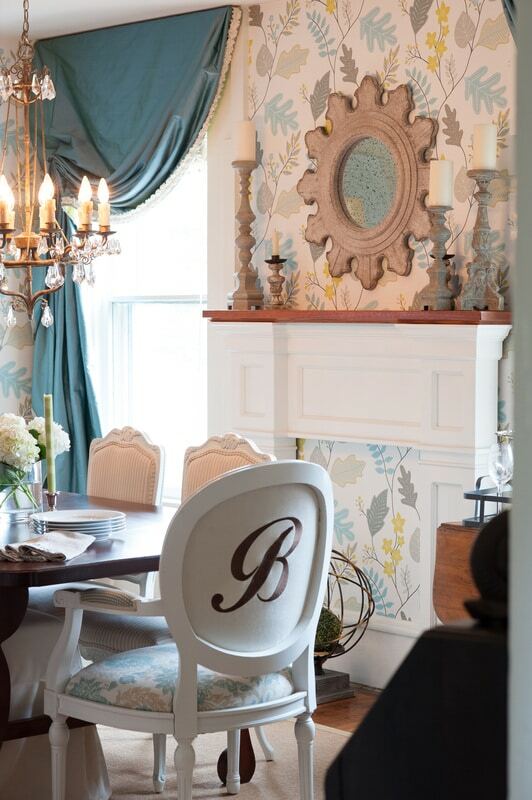 The attention to detail, the colors, the wallpaper (! 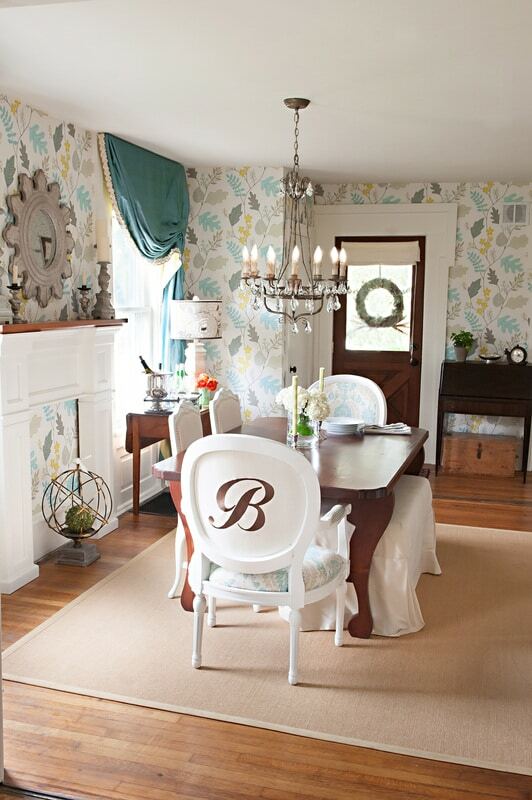 ), the cottage charm. I adore it all. Photographed by Alice G Patterson. 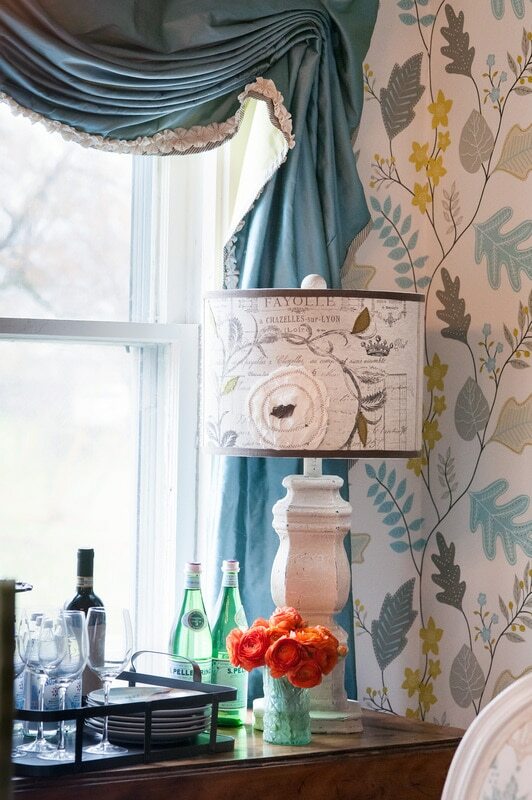 See more projects by Charity here and her blog here!